Red Pole Park. Photo by David Lewinski. Now urban researchers are discovering the economic sense of drawing people in, rather than providing them a thoroughfare. A changing mobility landscape gives urban planners a second chance to create spaces that draw people together in a human-friendly live/work/play model. Southfield is becoming a model city for this transformational change. “We have spent the last 10 years working on how to take the edge off the auto-dominated landscape, and getting people to stay after work. But how do you do that? You add amenities that make people want to hang around rather than jump in the car and go home,” says Siver. Southfield Mayor Ken Silver. Photo by David Lewinski. With a population of 75,768 residents that swells to 175,000 during the workday, Southfield could struggle to be cohesive. Through community input and a 2016 comprehensive master plan--only the second in Southfield’s history--planners established sub-areas, each with a distinct purpose, budget, and funding plan. 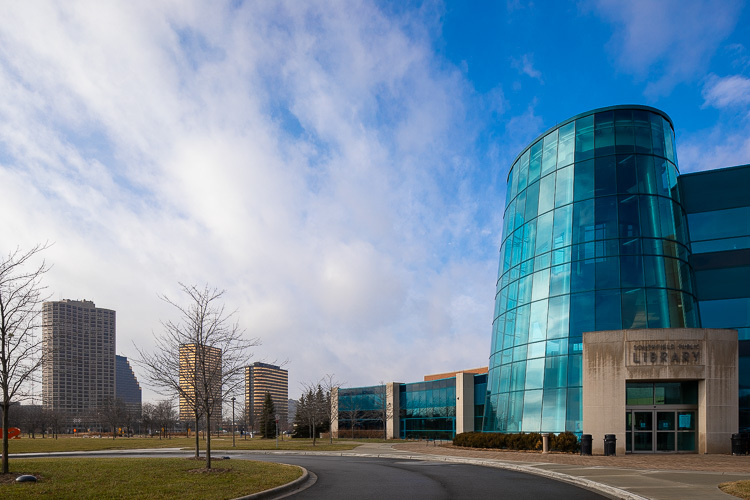 The Southfield Downtown Development Authority (DDA) includes the 114-acre former Northland Center, and is slated to become a mixed-use medical, educational, housing district and commercial village. Non-motorized at its core, the award-winning plan was recognized by the American Planning Association Michigan Chapter in 2018. The Southfield Centrepolis, a Michigan SmartZone campus, is a dedicated economic corridor that leverages the city’s status as a Michigan Redevelopment Ready community. A $600,000 grant through Safe Routes to School is building out walkability for the city’s measurable Orthodox Jewish community, and a special assessment district will infill sidewalks and pathways along Telegraph Road for a more walkable experience. But the Southfield City Centre district was deemed to have the highest impact for initial redevelopment due to its density, according to Terry Croad, director of planning for the City of Southfield. 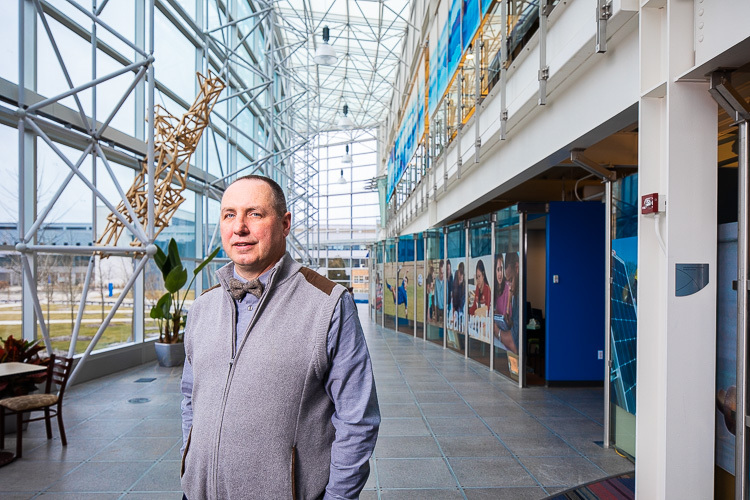 In the midst of the Great Recession, Croad, who has a background in landscape architecture, joined the city’s planning department and worked to overcome the “sea of asphalt” with a growth plan in mind. Infill sidewalks along Evergreen Road, pedestrian and public transportation amenities, trees, trashcans, wayfinding signage, decorative crosswalks, and a bikeshare program formed the bedrock of the infrastructure, and created space for people to walk and bike near the Southfield Public Library, the Midcentury Modern-designed municipal campus, the wooded trails, and the high-rise Town Center office and condo buildings. The special assessment district, eligible for matched funding from MDoT Transportation Alternative Program (TAP) grants, has now established miles of contiguous shared-use pathways that link greenspaces and destinations. The momentum is building, says Croad. “There has been a determined approach over the last eight years to build that infrastructure and support the types of activities that would get more people out of the offices,” he says. A summer monthly concert series, food truck rallies, sponsored walks, jazz festival, and student activities for nearby Lawrence Technological University (LTU) now have dedicated space designed to foster social connections. Also within the City Centre, a vacant 8.9-acre site is slated to receive an award-winning design for mixed use, walkable retail, restaurants, entertainment, and public spaces. “This is actually a community where you can go for a bike ride or a nice jog or walk,” says Kevin Finn, dean of students at LTU. On Finn’s wish list is a watering hole for students and faculty to enjoy, but he does appreciate the corporate presence here. “We are a school that is known for preparing students for jobs. It’s great that they can see Fortune 500 companies right across the street, and students do network with business people when they are out at lunch. It really does show a great visual, so students can feel confident there will be eventual employment for them,” says Finn. Kevin Finn at Lawrence Tech. Photo by David Lewinski. Last year, LTU re-launched college football on campus after a 72-year hiatus, and is installing a permanent stadium grandstand in time for fall 2019 kickoff, a tailgate destination for students, alumni, and visiting teams. As some businesses migrate into downtown Detroit, others recognize the value of the inner ring. 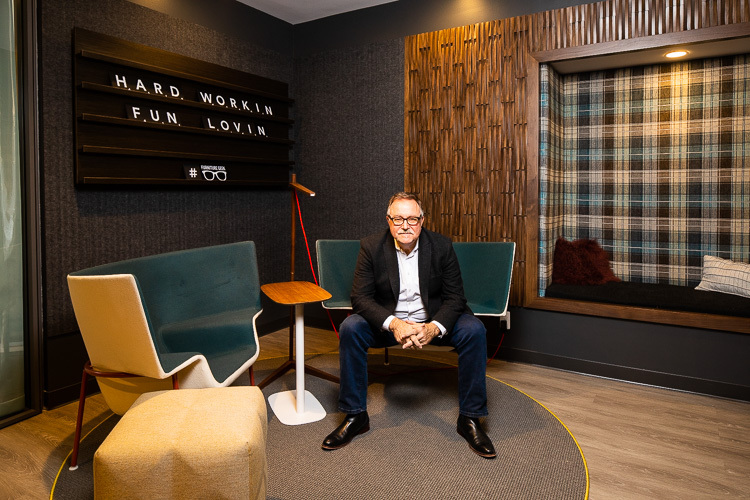 When David Kiwior, president of office furniture company Airea, planned a move from Farmington Hills, he knew he wanted space in the connector between the Town Center buildings. 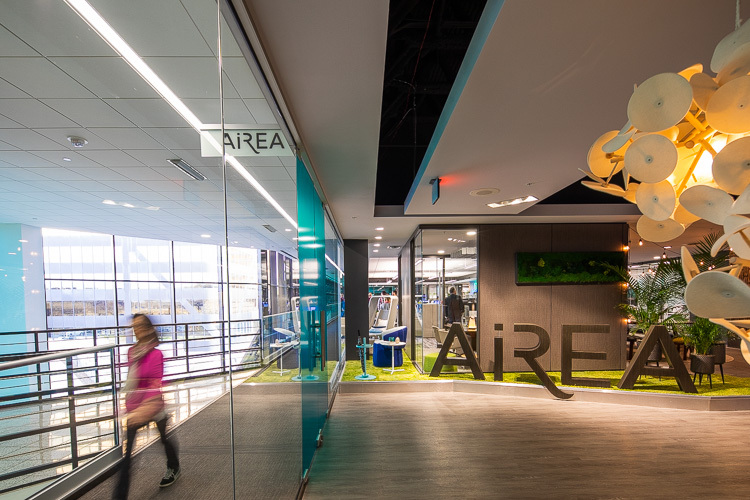 “I stalked it,” he says about Airea’s new full-glass office that is home to 30 employees. When curious people walk by, they are welcomed warmly. By design, the office draws people back again and again. Dave Kiwior, Airea. Photo by David Lewinski. More than a just a nice place to work, the “office glamping” environment helps Airea attract and retain employees with amenities that are “as important as salaries,” says Kiwior, who interns LTU design students. Every single one gushes over the working environment. This sense of place is mirrored across the City Centre, Kiwior and Siver agree. “Over and over, I see companies who want to attract a workforce of creative people, and businesses are trying to create cool spaces,” says Siver. Airea. Photo by David Lewinski. Most immediately recognizable among Southfield’s efforts is its commitment to public art. In recent years, the city has placed eleven pieces in public and private spaces in the City Centre. Not every piece is universally liked, and that’s just fine. The point is to get people to notice and start talking. Instead, art creates community collisions, drawing people together to share ideas or say hi, something never achieved with a high-speed driveby. In Southfield, good timing mixed with shrewd planning to make it happen. The city council’s approval of a measure to incorporate public art in future planning coincided with the 2014 demise of Northland Center, the once-thriving shopping mall that was home to several Midcentury Modern sculptures, long forgotten in underground storage. Championed by Siver’s vision, the city borrowed $500,000 through a low-interest loan and purchased the collection of about 18 pieces. 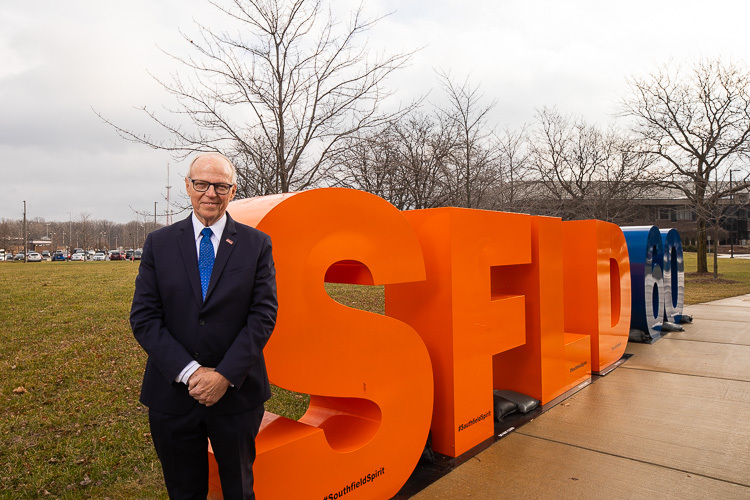 Southfield moved the art in April, 2015, established a Public Arts Commission and held fundraisers, earning $600,000--enough to pay back the loan and begin restoration of the pieces. The first placement was the 5,000-pound Marshall Fredericks’ “The Boy and Bear” inside the Southfield Public Library. Siver says this effort opened a flow of donations. Since then, the city has placed “Prophet” by Romanian-Canadian artist Sorel Etrog, “The Crowd” by Gio Pomodoro, and, most recently, “The Peacock” by Arthur Kraft and Gwen Lux. More are slated for 2019. The efforts have earned trust by art owners to donate or allow their sculptures to be placed on public land in Southfield, says Croad. In December, 2017, the city welcomed “Pioneers II,” a nine-foot tall mixed-metals piece by European artist Andreas Drenters that was donated by Mark Diem of Bloomfield Hills, and installed at the historic Mary Thompson farmhouse on Evergreen Road. In a 140-linear foot space along Northwestern Highway north of Civic Center Drive, Red Pole Park, an interactive 47-pole interactive art installation rises from the shared use greenway. The red poles of various heights symbolize civic values of sustainability, education, and stewardship. Part of a series of interpretive panel-lined outdoor “rooms” designed for public immersion, the installation was a collaborative between Southfield and MEDC’s Public Spaces, Community Places initiative, and was funded through a Patronicity crowdfunding campaign, matched by MEDC funds. 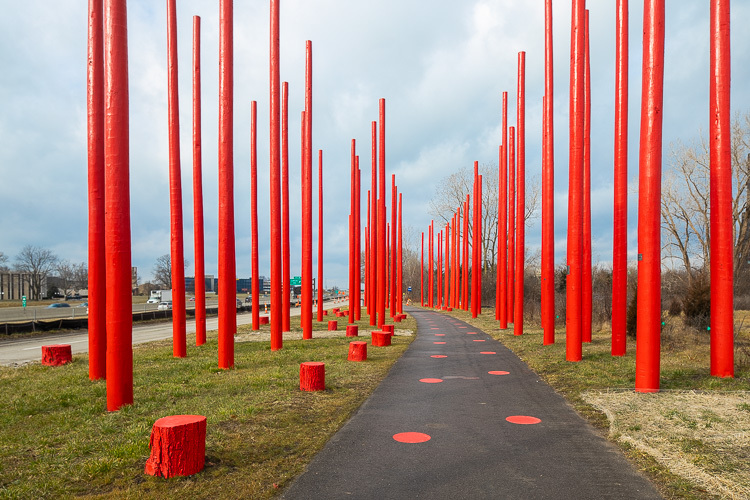 In recognition of mindful planning of the extra-wide pathway and in celebration of the value of public art, Red Pole Park is a destination for cyclists and runners, and potentially a backdrop for event photos from weddings and parties at the newly-opened NOAH’s Event Venue. While some love the park, others just don’t get it. And that’s OK, says Siver. “There is a whole range of emotion, and that is what art is supposed to be. It’s OK if you don’t like it,” he says. In time, Red Pole Park may become synonymous with Southfield.